If you’re looking to rock longer (or in my case, BIGGER!) hair, your time is better spent focusing on length retention. There’s not much you can do to force your scalp to grow hair faster, but you CAN focus on hair care habits that prevent breakage and make sure every inch you grow is maintained throughout the months and years. Although the entire length of my hair is rarely exposed to the elements (yay shrinkage! ), there are five important things I do to handle my coils with care. There comes a morning in every natural’s life when you wake up and realize your TWA has transformed into a massive force field of gloriously textured hair. It seemed like just the other day you could wash and condition in six minutes, right? Well, “just the other day” was actually two years ago, and now you must find efficient ways to care for your coils without losing your sanity. Don’t attack your hair! Grab some butterfly clips and divide your hair into manageable sections. 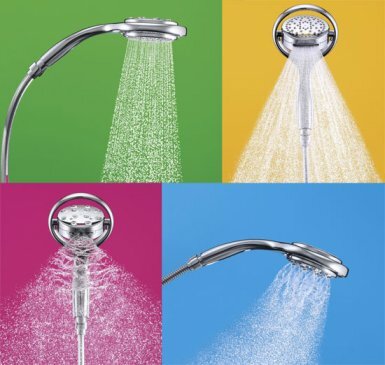 No more swirling your hands around an entire sudsy head. During my long term transition, there have been several occasions where I have experienced what I like to call the triple d’s: ‘Dreaded-Detangling-Days’, which fell upon me earlier on in my transition. I’m sure I’m not alone in experiencing this so I know you recognise that feeling of having every nerve in your body being worked beyond belief. Yes – it IS that serious! In the beginning of my natural hair journey all I wore was a wash and go. I didn’t know anything about twist outs, braid outs, bantu knot outs, etc. I had just big chopped, and was looking for a simple, but beautiful hairstyle. The longer my hair got, and the more I experimented with my hair, the less I leaned on the wash and go. It seemed to me that the tangles and knots were excessive and it didn’t last more than a day. It was even more frustrating that my hair literally stays wet an entire day. By the time I went to bed, parts of my hair were still wet. I would wake up with smooshed hair and crazy tangles. I found myself constantly ripping my hair out just to achieve this so called “amazing low manipulation hairstyle”. Eventually I gave up on it, and said it was a style I could not do, because the tangles and knots were too much. So, without further ado, here are a few techniques that I’ve found help me tackle terrible tangles. 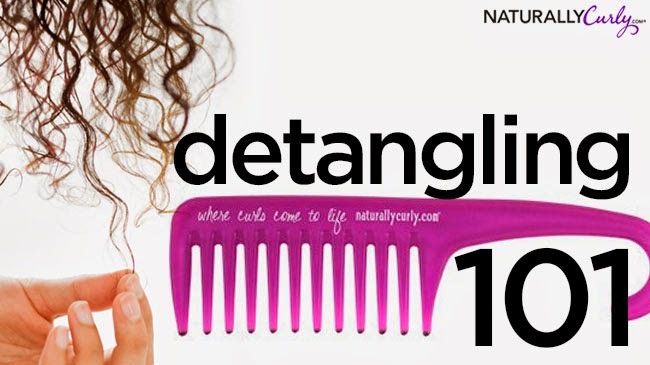 Check out her detangling routine and tips... and note, she starts with a thorough finger detangle! 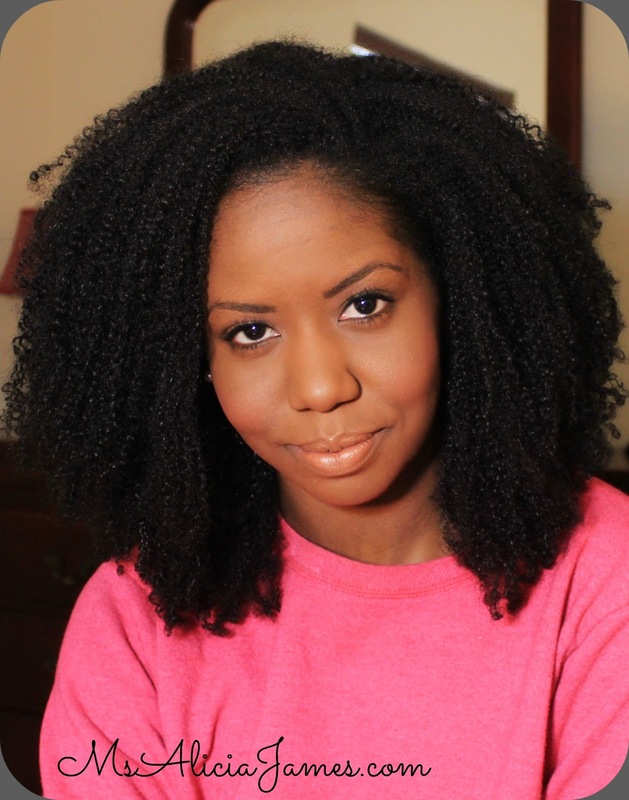 "Here's my updated routine on how I detangle my natural hair. This is long over due, since my hair has grown, I have had to change things up slightly in my detangling process. 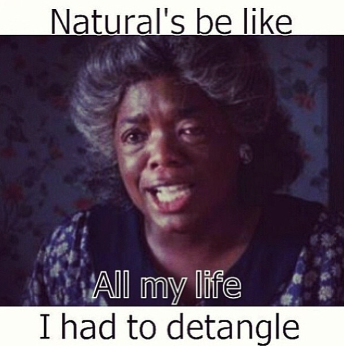 Also, the natural products I use to detangle are different than what I used in the past! So I hope this helps!" Thanks to Sarah for the submission! I'm confused. 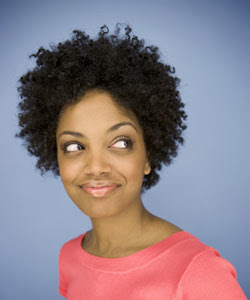 I've read several places that our hair is at its weakest when wet and manipulation should be kept to a minimal. Many of these articles recommend I detangle my hair while dry. 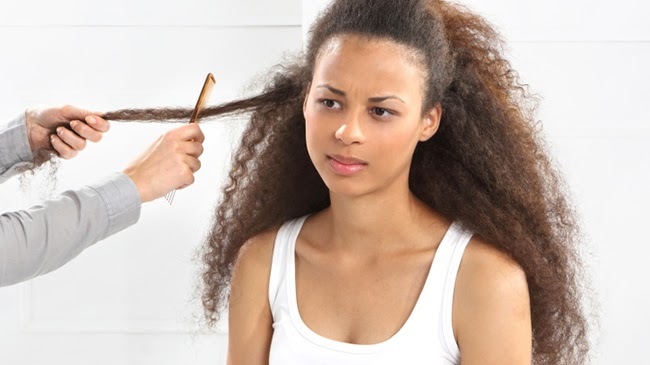 Other articles mention the fragile nature of hair and argue against dry detangling. These articles recommend I detangle my wet hair with lots of conditioner. I lose hair using both methods. Which is the right one? How are you ladies detangling your hair? Unfortunately, there is no right or wrong answer. It's going to sound like a cop out (and a bit cliche), but 'no two heads are alike'. I've had success with both methods. I wrote an article on this earlier this year. See below! After reading through the Best Practices- Detangling Dry or Wet comments, and reflecting on my own experiences and research around the web, there seems to be three common and effective detangling methods. Below, I'll list them and provide tips on how to execute each effectively. Apply an oil (olive, coconut, jojoba, grapeseed, avocado, etc.) to soften and lubricate the hair, and add slip. Be liberal. Some like to dampen the hair with water first, some don't. I don't. Twist this section and move on to the next. Repeat until your entire head is lubed up, detangled, and twisted. Once in the shower, you can (1) shampoo and condition in the twists/sections, (2) take them all down and be careful not to re-tangle with excessive handling during the wash and condition process, or (3) take down one section at time, shampoo, condition, re-twist. I personally take them all down and handle gently. Take down the right side and finger detangle (bottom up) -- detangling the rest under the water stream with your fingers or a shower comb (or Ouidad Double Detangler). Follow up with the left side. If the conditioner is washed away and tangles are left, add more conditioner, and repeat. The power of the water stream and the slip of the conditioner should make detangling a breeze! Once in the shower, you can (1) shampoo and condition in the twists/sections, (2) take them all down and be careful not to re-tangle with excessive handling during the wash and condition process, or (3) take down one section at time, shampoo, condition, re-twist. I take them all down and handle gently. Try each detangling method (modify to your needs and schedule) and see which works best. How will you know which one is for you? Trust me, it'll be obvious-- excessive amounts of hair in the comb, hair blocking the shower drain, or tiny broken pieces on the sink, are all red flags. I quickly learned that I can't damp detangle. My hair gets stiff, brittle, and tangles more. Others can't shower detangle-- they loose excessive amounts of hair due to matting and shedding. 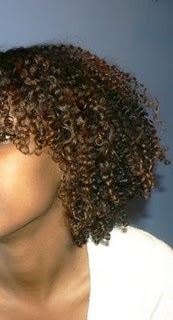 Still others can't dry detangle due to breakage and impossible knotting. Some thrive on daily co-washing, others grow to waist length with once a month wash sessions. Natural hair care is trial and error. In the words of Wanda Sykes, 'it can be a damn science lab', and you won't know what works until you experiment a bit. I usually try routines for a month, assess, and proceed from there. Hopefully the list above will give you a starting point for your detangling routine! No matter which you choose, remember to be gentle, dammit! What's your detangling routine? How's it working for you? Don't forget to describe your hair (length and things of that nature)! 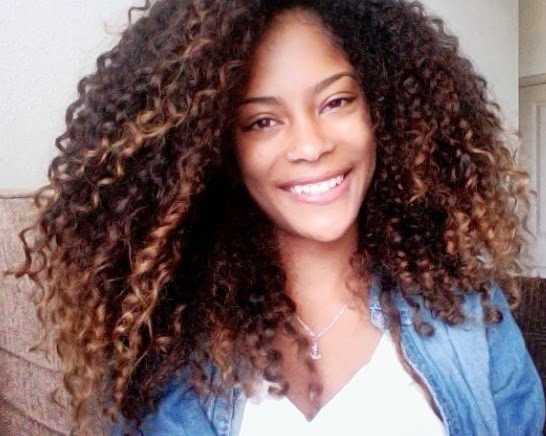 I have a question about hair detangling and curl definition. I dislike the Tangle Teezer and Denman Brush due to them both ripping and breaking off my hair (4a/4b/4c). 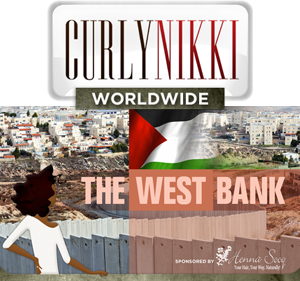 However, I loved the curl definition they both offered. Are there any other tools out there that can give me curl definition without the breakage? Thanks in advance. Them 10 digits! I've used everything from the Tangle Teezer to the K Cutter, but always come back to finger detangling. It's much, much more time consuming, but totally worth the effort. 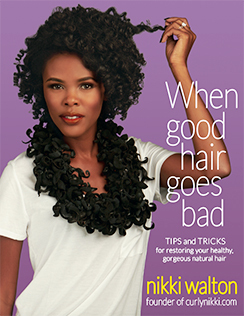 And although I don't wash and go anymore, trust that finger styling will lend itself to some amazing definition. I notice that when I ditch all the tools, I retain length and enjoy much welcomed volume. My ends never look as good as they do when I've been finger detangling for a few months. But time constraints and Baby G often lead to amnesia and I find myself back in the grips of 'the next best detangling tool'. 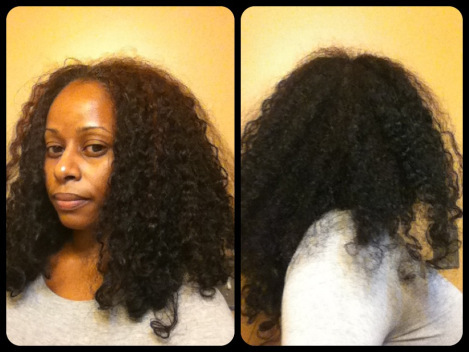 The Denman, aka Shredder, wasn't the best detangler, but left me with the most gorgeous clumpy curls. Unfortunately, it also left my already fine hair feeling even more sparse. 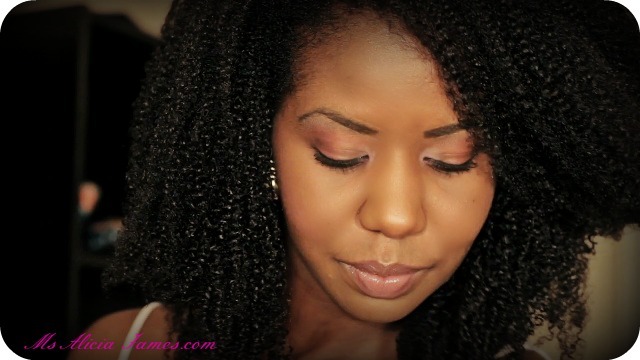 After a few months of regular detangling and styling use, I experienced a for real set back. The Tangle Teezer detangles like a friggin' dream. 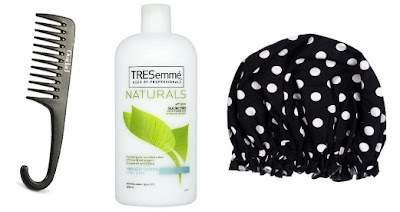 It's quick, doesn't pull out a ton of hair and gives your dry hair the look of a blow-out. All good, right? No. After a few weeks of use, I noticed my ends looked like I'd sent them through a paper shredder. It tortured my fine strands and again, I experienced a set back. I'm not a fan of the wide tooth combs or paddle brushes. Every few months, I get the notion and impulsively pick one up while on a field trip to the Beauty Supply... but the affair never lasts long. Wide tooth combs feel woefully ineffective, both during the process, and after when I discover rogue mats and tangles. Also, I got zero definition from wide tooth combs, just frizzy, peicey curls. 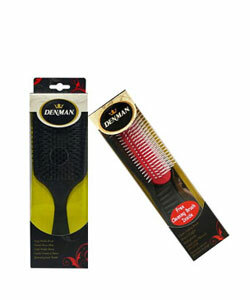 Paddle brushes, like the Denman, give great clumpage, but harshly pull through the hair, which of course leads to damage in the long run. I do still like and use the Ouidad Double Detangler. I don't use it often, but if I had to recommend one tool, that'd be it. It provides no help in the definition department but is great at effective, gentle detangling. Which brings us back to Finger Styling. It rocks... it's time consuming... but it rocks. It'll take a little practice (and a crap load of patience) mastering the technique of detangling solely with your fingers, but you'll enjoy a much happier head of hair. I do it in small sections, working from the ends up, and I'm able to gently remove shed hairs and tangles with minimal (if any) breakage. One of the benefits is that you can actually feel where the knots and problem areas are... that's a major advantage! Also, as long as your finger nails are trimmed, you don't have to worry about snagging your strands on anything sharp or jagged, which reduces breakage and split ends as well. In the styling department, fingers also win. Have you ever heard of shingling or finger curling? I got the absolute best wash and gos from these techniques. After applying a leave-in, I'd rake gel (Herbal Essence Totally Twisted Gel) through small sections at a time. The raking motion (which captured chunks of hair between my fingers) would create perfect little spirals. If you haven't tried finger detangling or styling, and you're dealing with breakage and splits, ditch the tools and take up this practice for a month or more. It may be just the remedy you were looking for. A few months back I put together a few tips and methods I’d learned over the years for properly detangling natural hair, the majority of which I still practice today. The basics still apply especially after embarking on this year’s hair challenge, but after recently reading through many of your regimens, I thought it’d be helpful to add to the pile of goodness. Now, while I’m happy to proclaim that my detangling routine is no longer as arduous a struggle as say…three years ago, it’s still my least anticipated part of my weekly routine. With that said, I still think it’s always important to learn and improve on caring for natural hair no matter if you’re newly natural or 10 years in. Implementing and evaluating hair’s needs on a consistent basis will no doubt save you not only time, but increase overall hair health. This was by far the most mentioned method to detangling & after my first attempt last week while in the shower I can understand why. 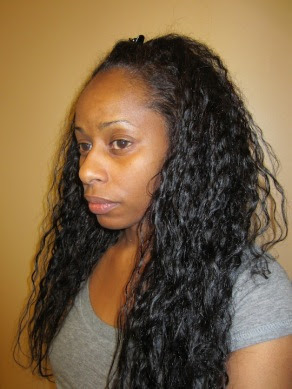 After pre-pooing and sectioning hair into quadrants, I began finger detangling & loosening up small & large tangles. According to Miss Priss, you’re able to catch more knots & believe it or not our fingers are in fact “The Original Tool!” So true, but often when fingers aren’t enough hand held tools can be called in to finish the job. Whenever I think hair reviews for Natural Hair I instantly think EmpressRi, and sure enough she reviewed this comb early last year. This is a great alternative for those who abhor the use of a brush of any kind when detangling or styling hair, the Ouidad according to Isabelle is “kind of like using two shower combs at once in quick succession.” If you’re endowed with thick/dense hair, my guess is this would be ideal. 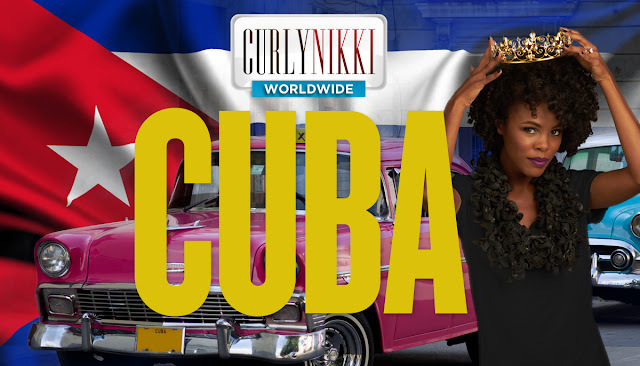 Fine Haired curlies might be safer with a more gentler tool. Even I have a special place in my heart for this comb and the reason why I stopped using it was simply because I’d failed to carry it with me during my most recent move. This tool works wonders while in the shower using a steady stream of water when hair is soaking wet. Not great for overall curl definition, but gentle enough on hair to free up previous tangles. Ideal for use during the Summer for those wash-n-go’s or when you want an easy no fuss routine, without worrying about excess breakage. 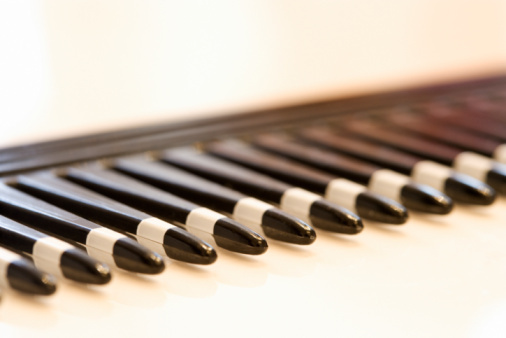 Whether you fall into line with the 2a’s or 4c’s, it seems to work well across the board. This method is popular amongst naturals who love their original Denman brush for detangling & defining, yet prefer a gentler tug when smoothing and eliminating tangles. This is great no matter your hair’s texture & especially if you notice excess breakage or split ends caused by over manipulation. 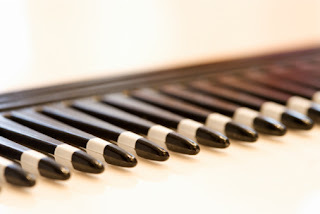 A great how-to on modifying the Denman brush is a vid from A Grl Can Mac.